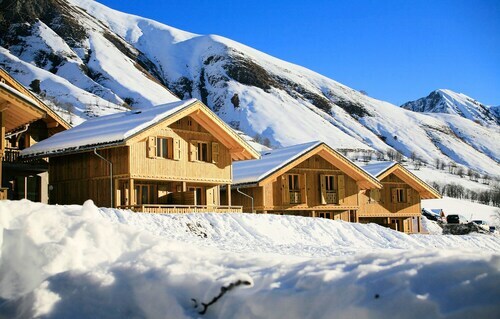 Offering ski-in/ski-out access, this residence in Saint-Sorlin-d'Arves is situated in the mountains, 0.1 mi (0.1 km) from Les Sybelles, and is convenient for winter activities, such as skiing lessons and snowshoeing. Ecrins National Park is 7.2 mi (11.6 km) away. Situated in Saint-Sorlin-d'Arves, this property is 0.1 mi (0.1 km) from Les Sybelles and 7.1 mi (11.4 km) from Ecrins National Park. Cathedral of Saint-Jean-de-Maurienne and Opinel Museum are also within 16 miles (25 km). 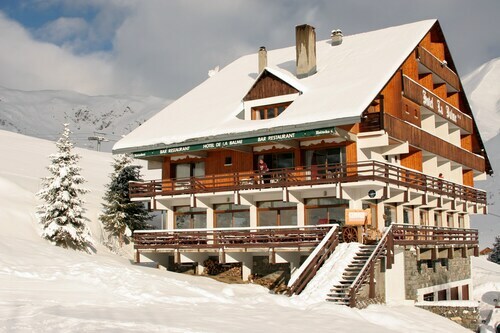 Set amidst the mountains, this ski-in/ski-out hotel in Saint-Sorlin-d'Arves is 0.1 mi (0.1 km) from Les Sybelles and is convenient for winter activities, such as cross-country skiing and skiing lessons. Ecrins National Park is 6.9 mi (11.1 km) away. 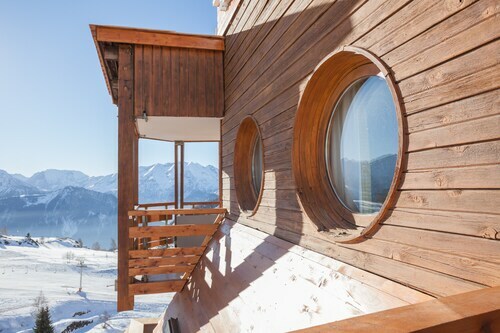 Located near to the slopes, this Saint-Sorlin-d'Arves residence is situated in the mountains, 0.1 mi (0.1 km) from Les Sybelles and is convenient for winter sports, such as cross-country skiing and snowshoeing. Ecrins National Park is 5.8 mi (9.4 km) away. So, you're considering a trip to Saint-Sorlin-d'Arves? If you want to find accommodation that's located near the sights, you can enter your holiday dates and then use the filters beside your hotel search results to find somewhere to stay near the area's attractions such as Ecrins National Park. 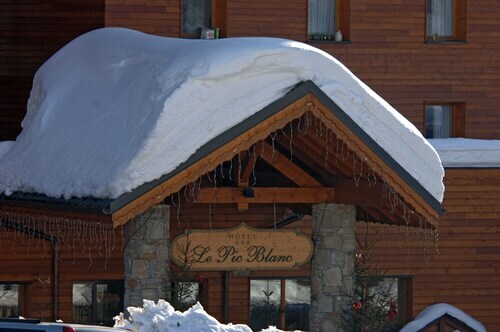 You can choose among 36 Saint-Sorlin-d'Arves hotels and accommodation options to find a place to stay. 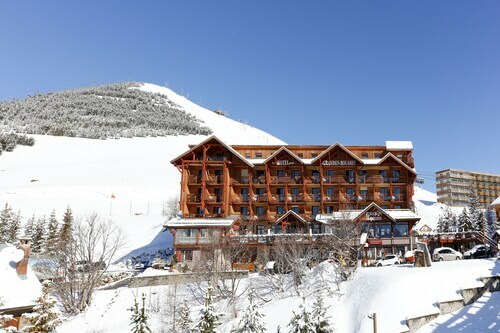 When you're deciding where to stay in Saint-Sorlin-d'Arves, you'll be able to quickly and easily search ebookers for hotels that offer services such as high-speed Internet, a swimming pool or free airport transport. You can use the filters to narrow down your search for a hotel, so you get the services that are important to you, such as an in-room kitchen or air conditioning. 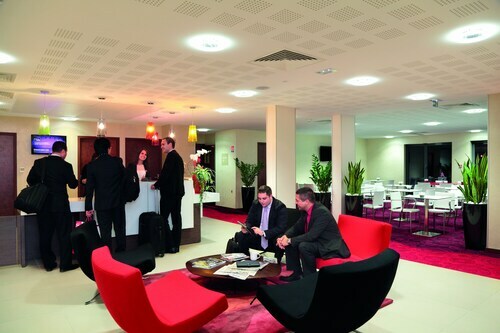 When making plans for your trip to Saint-Sorlin-d'Arves, you can also use ebookers to look for a convenient flight to Grenoble (GNB-Grenoble - Isere) Airport. You can narrow down your search by number of stops, airline or departure time to identify one that'll work best for you. When is the Best Time to Explore Saint-Sorlin-d'Arves? If you're wondering when is the best time of year to visit Saint-Sorlin-d'Arves, you might find this info about seasonal weather useful when you are planning your trip. The warmest months in Saint-Sorlin-d'Arves are typically July and August, whereas the coldest months are usually January and February. The months with the most rain are July and June, whereas February and December have the least. From January to March, the average daytime temperature is 14°C and at night it is -1°C. Seasonal average rainfall is 5 mm. If you visit between April and June, you can expect an average temp of 26°C during the day and 4°C at night. Average rainfall during this season is 9 mm. The daytime average temp from July to September is 28°C and the nighttime average is 10°C. Average precipitation for this season is 9 mm. Between October and December, the average temp during the day is 19°C and -1°C at night. Seasonal average rain is 7 mm. Average annual rainfall in Saint-Sorlin-d'Arves is 30 mm. Das Hôtel Les Bruyères in Les Bellevillebitet 4* Preis mit 3* Leistung. Sans être sale, la propreté était assez moyenne. Une petit nettoyage d’arrivé à été nécessaire. Rien de grave toutefois . Would not return. Hotel staff friendly and pleasant but the overall hotel experience was disappointing. A lot of promise, but the hotel is dysfunctional in too many aspects. Room was large but actual accommodation area was too small. Far too much allocation of space to dead space in the bathroom and corridor. The food had great potential but badly let down by poor and disorganised service. Appetiser buffet was sparse and frequently poorly presented. This may have been due to the hotel's focus on a large party of families who took over but this should not have allowed our experience to have been so negative. Hotel Manager did acknowledge this issue but this did not alter our experience. It should also be noted that the jacuzzi, steam room and sauna is and additional 24 Euros per couple per hour. There is limited space and requires advanced booking. This is not clear when booking the hotel so worth noting. Good: Welcoming hotel (collected us from bus depot). Lovely lounge and log fire Couldn't be closer to the slopes. Good ski locker room Good dining room (but expensive €120-140 for 2 course meal + wine for 2 people) Not so good: - Despite booking a junior suite, the room was very small. Tiny bathroom (2m x 2m), limited toileteries, loo that didn't flush properly. -There is an upstairs bed on a balcony, but there is little privacy between upstairs and downstairs. - Very limited tea/coffee facilities - Very expensive bar (£12 for a glass of wine, £10 for a G&T) - Poor breaakfast - continential unless you want to pay more (€8 for an omlette) - Hotel added 7% to ski passes without telling us at the time of booking. je suis resté plusieurs jours dans cet hôtel placé le long de la rocade impossible de dormir, le matin quand vous partez, on vous coupe le chauffage, donc quand vous rentrez le soir après une journée de travail il fait froid dans les chambres et quand vous mettez le chauffage même à fond il part dehors très mal isolé, les portes des chambres une vraie passoire, passage d'air et phoniquement une horreur (suis resté plusieurs semaines) ai eu plusieurs chambres toujours le même problème à c'est pas chère qualité prix quoi que, mais qualité des voyageurs zéro à éviter !!!!!!! Excellent hotel. Staff are all English speaking, very friendly and helpful. Rooms are spotlessly clean. Lovely open fire in the hotel lobby. Very good restaurant. 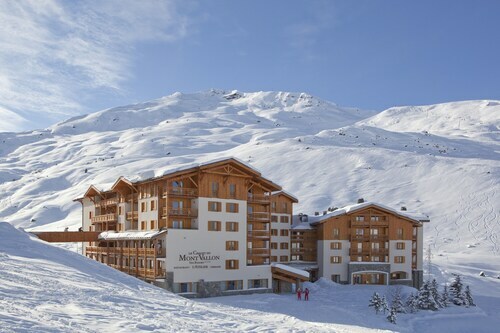 Location is ideal for skiing in and out of hotel and easy access to Val Thorens, Meribel and Courcheval and local restaurants are only a short walk. Nice spa with pool, sauna and steam room - ideal for relaxing after a day of skiing although it can get quite busy. a couple of minor niggles preventing a 5/5 rating - piped music was too loud and annoying. Secondly, the evening restaurant was allowed to be turned into a games room while we were dining. These are easy fixes. I would definitely return. Très bel hôtel avec une bonne rénovation. Le restaurant est délicieux. Et le spa parfait. 3 years ago by Jean Y. Fantastic staff, excellent food for breakfast (great buffet) and dinner (regional chef that provides a different daily menu - always delicious), great New Year's Eve party for the whole family. We will certaintly come back.